Originally scheduled for 5 September rain stopped the fly in from happening leaving the organisers between the devil and the deep blue sea. All the service providers have been paid. Do they cancel until next year or do they postpone to a future date? After last year's huge success when almost 170 aircraft visited they bravely decided on 3 October as the new date and the task of getting additional sponsorship started. 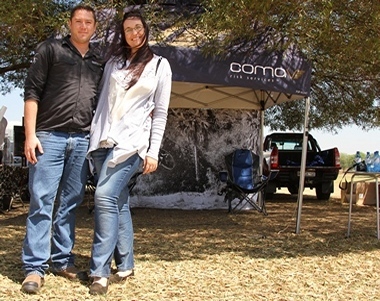 All the complaints about the previous year's event were addressed, the food court was moved to the edge of the flight line where various exhibitors had their stalls erected and by 08.30 the field looked festive. 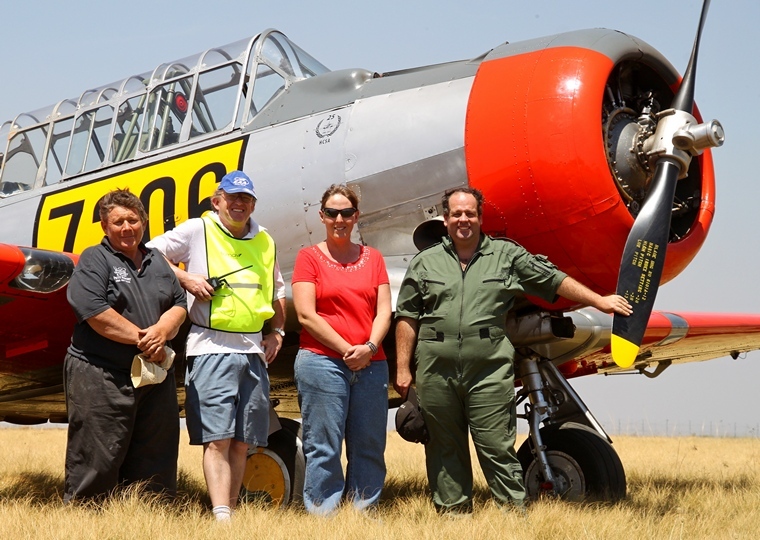 Rows off vintage cars were parked in their allocated spots and aircraft started arriving to be marshalled by pupils of Pretoria Boys High. Unlike the bitterly cold and windy 5 September when only floatplanes would have been able to land, Saturday 3 October was a brilliant summer's day with clear blue skies. Initially, judging by the arrivals, it seemed that if not exceeding the previous year's numbers the number of visitors were likely to come close to the previous year's 170 visiting aircraft. But unfortunately it was to not be. 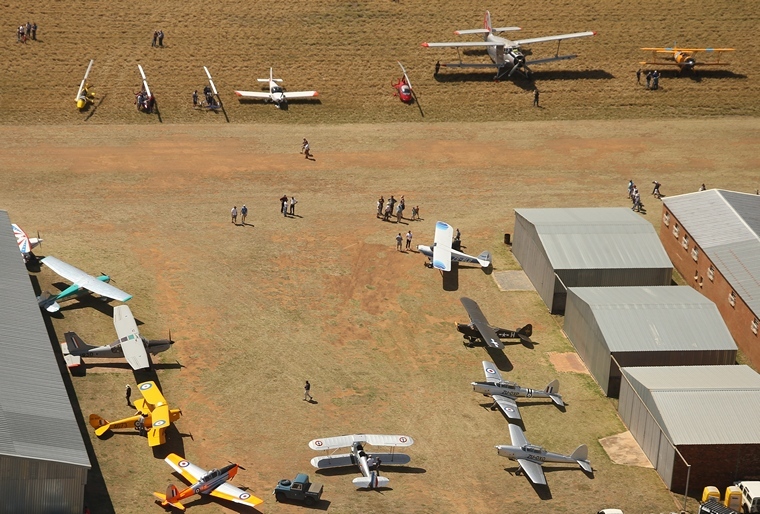 Postponing an event is always risky business as one tends to lose momentum and eventually about eighty aircraft arrived. Not bad considering that most other fly in's, with the exception of taildraggers, were only able to get at most half of that. 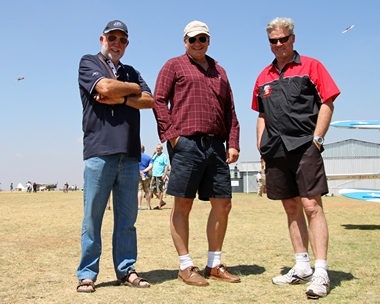 It is a real pity thought as the organisers, a small team of aircraft owners based at Petit, really did their best to again make this the fly in of the year (Petit does not have a constituted flying club). All agreed that is it was a pleasant gathering of aviators. The catering was good, the layout and parking of aircraft excellent and the organisation superb. As well as a multitude of more modern of type certified as well as non-type certified aircraft. 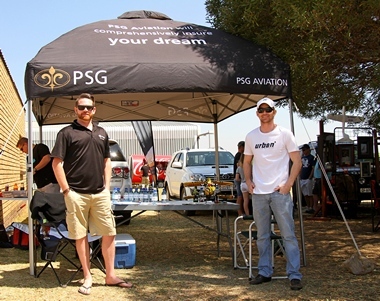 The sponsors who made the event possible were Pilot's Post, Comav and PSG Insurance, Air 'o Craft, Dr Kobus Stander, Dawid Swanepoel, The Aviation Shop, Fly by Wire and Bosveld Caterers. 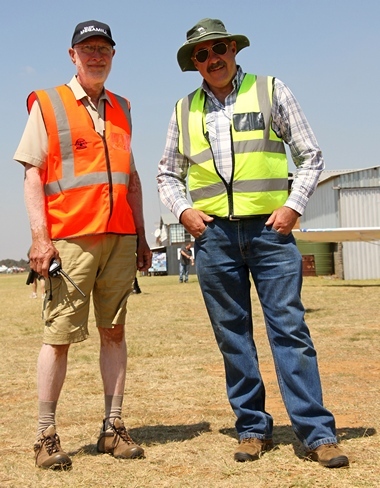 Graham Cooper did the commentary and assisted with the arrangements whilst Hugo Visser made the field available and Henry Holland supplied refreshments for the crew that ran the event. Burning the midnight oil to make it all possible was from left to right Hugo Visser, John Ilsley and Sonica and Ivan van der Schaar.